A vintage record with modern bells and whistles. 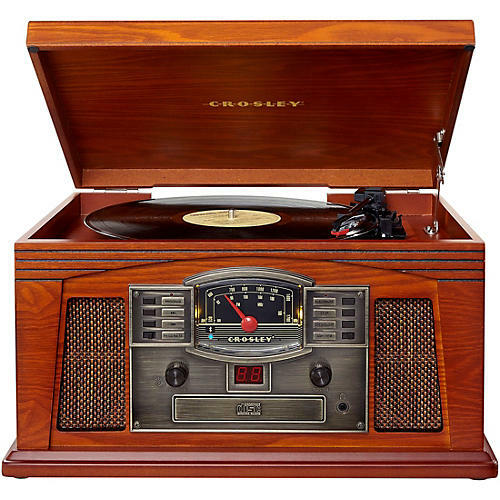 Tune into the nostalgic Crosley Lancaster record player to hear music as it should be heard. An antique-styled cabinet with handsome grillwork houses a CD player, an AM/FM radio and a three-speed record player for all your classic vinyl.